He must have heard me recording this, because he took my advice. And it paid off! 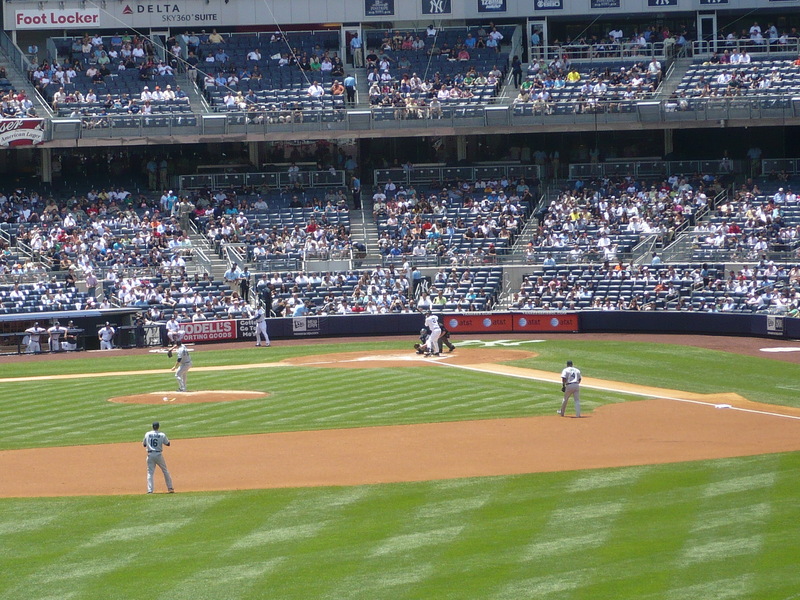 The Yankees won 6-2….on Jorge Posada’s birthday instead of mine. But that’s okay. We just needed a win! Pitching Analysis: The Yankees looked toward CC Sabathia to throw up a bunch of zeros and stop the bleeding last night. I thought he was the perfect guy to be on that mound last night to turn things around for the Yanks. But after the first pitch of the game connected to A-Jax’s bat and landed in the seats, I lost faith. 1-0? Already? In the 1st inning? That was asking too much from the Yankees, who lost a game 1-0 to the Royals the other day. I thought we were screwed. THANK GOD, I was wrong. The bullpen, which all of a sudden has turned itself around, did well last night. David Robertson pitched a clean 8th, and Mariano tossed a scoreless 9th. 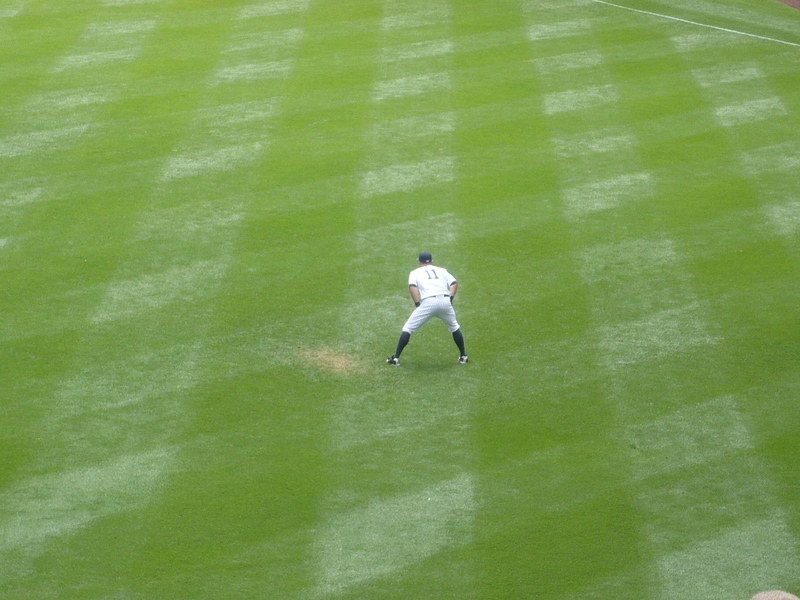 Defensive Analysis: Curtis Granderson has always played a good centerfield. Even when his hitting wasn’t there, he contributed with his glove. 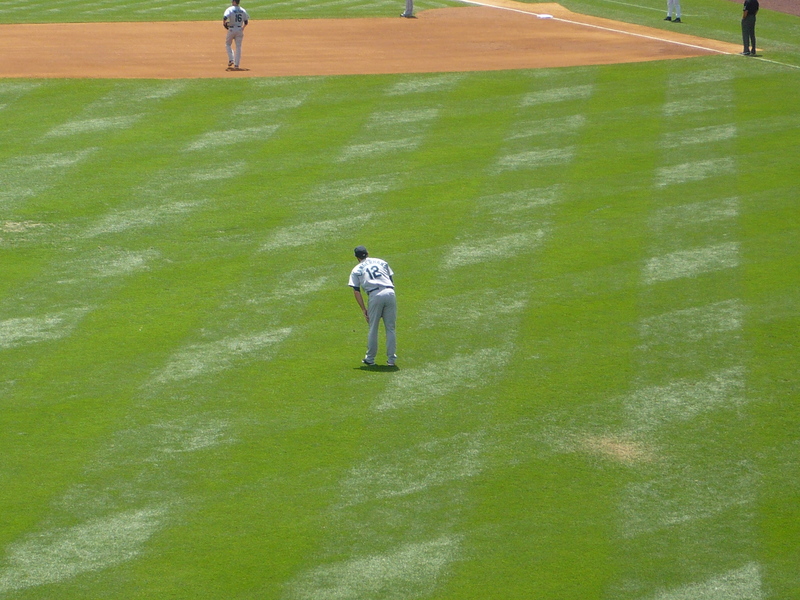 In the 1st inning, Granderson made two exceptional plays: One going to his left, and one diving going to his right. He helped set the tone last night, and got CC out of some potential jams. Thank you, Curtis! Offensive Analysis: This was what I really wanted for my birthday: runs. Joe Girardi took my advice. The Yankees really forced the action last night, which you have to do against a pitcher like Verlander. I saw a bunt last night. 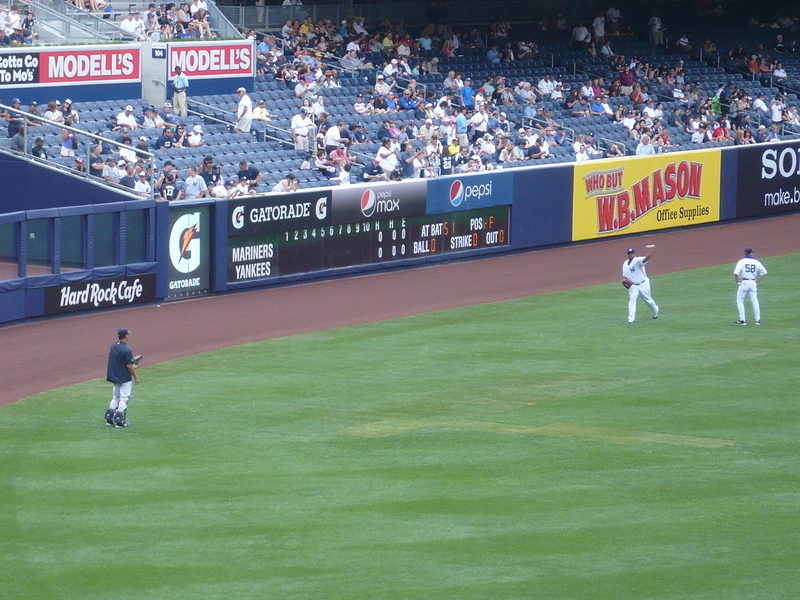 And I even saw a steal – by JORGE POSADA!!! Happy Birthday Jo-Po! That’s a single season-high 3 steals for him this year. And aside from the small ball, the Yankees actually hit last night. Hallelujah. In the 6th, Brett Gardner hit a 2-out double. That brought up Jeter, who I couldn’t help being angry at because of the loss on my birthday: the Yankees were down 3-1 in the bottom of the 9th. 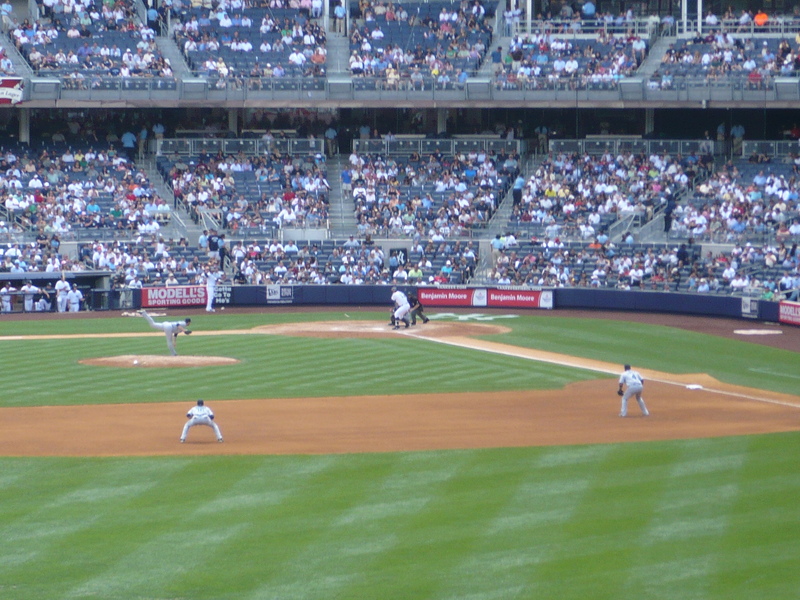 With bases loaded and 1 out, Jeter grounded into a game-ending double play. I hoped he could do something to make me happy last night. And he did. 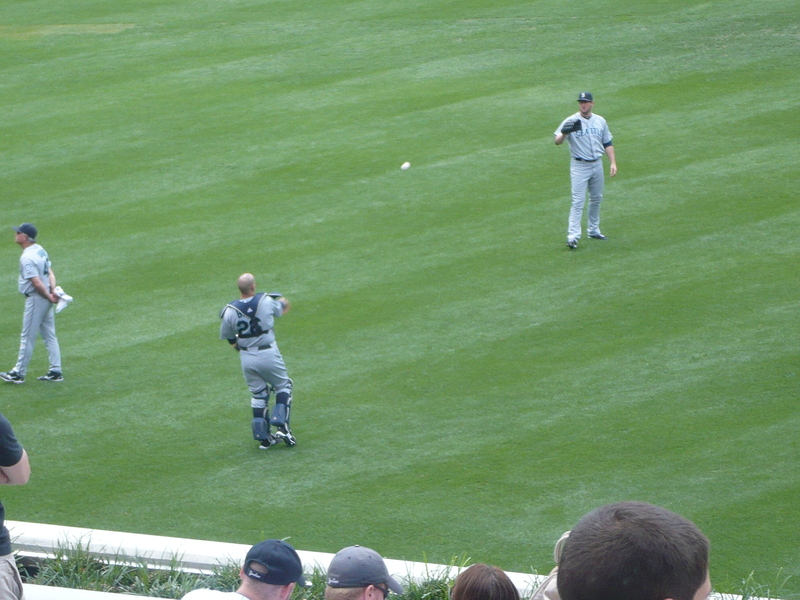 His 2 out RBI single scored Gardner, and gave the Yanks a 4-1 lead. Thank you, Derek. In the 7th, Robbie Cano homered, making it 5-2. He’s been struggling lately, so that homer was a good sign. 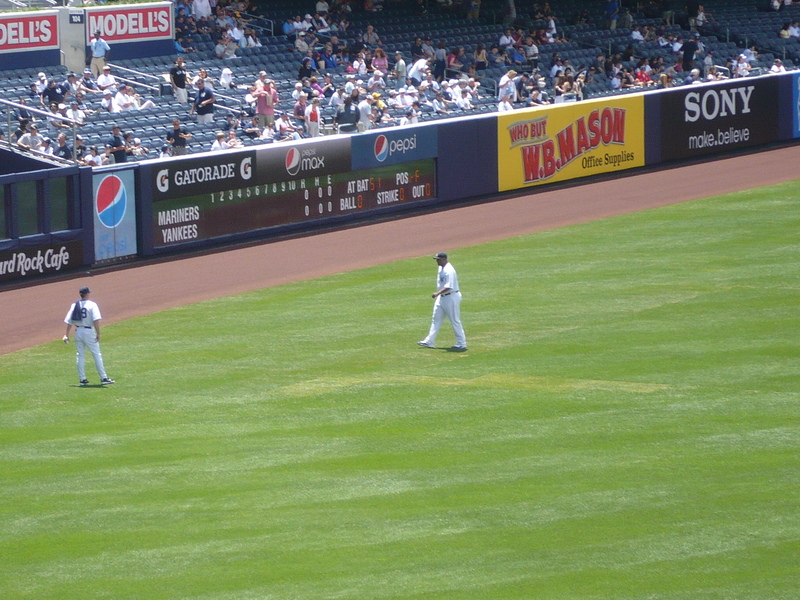 Later in the inning, Nick Swisher got hit by a pitch right on the foot. He went down, and was in a lot of pain. I didn’t even think Nick would have been in the lineup last night, because he hurt his forearm the night before. But with Berkman and A-Rod still hurt, Swish chose to play last night. What a guy. I was relieved when I saw him trot down to first base. After an infield single by Marcus Thames and a Curtis Granderson walk, the bases were loaded for Ramiro Pena. He tacked on a run with a sac fly, giving the Yanks a 6-2 lead. And that’s the final score. Last night’s win was comforting for sure. But is the offensive slump over? I wouldn’t exactly call 6 runs an explosion. But the offense doesn’t always need to explode for the team to win. I’m not going to say if the slump is over or not….I’ll just stay quiet and watch them play. I’m not going to be the one to jinx them (that’s Michael Kay’s job). The heroes for the victory last night are CC Sabathia, for another win, giving him the league-leading 16, Curtis Granderson, for his contributions with both the glove and bat, and Nick Swisher, for being a man, and for giving the Yankees their first lead since God knows when. My little brother had an idea for a new segment on my blog: the “Somebody Needs a Hug” segment. This is brilliance at its best. Every game I watch, I always say that at least once. So why not write it, too? The “Somebody Needs a Hug” recipient is someone who either did something or had something happen to him that makes me pity him. The hug is to either comfort, or show that I appreciate him and his efforts. Thank you Tommy for this idea. 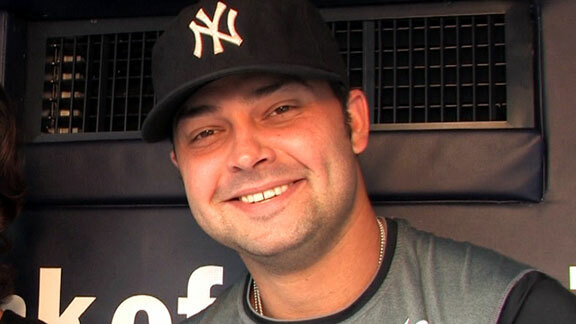 The first ever Somebody Needs a Hug goes to….Nick Swisher. Like I said before, he played through pain, and then got hurt again. I love my macho Yankees. Sweep of the A’s Complete! I was going to post earlier, but I had a more important obligation. 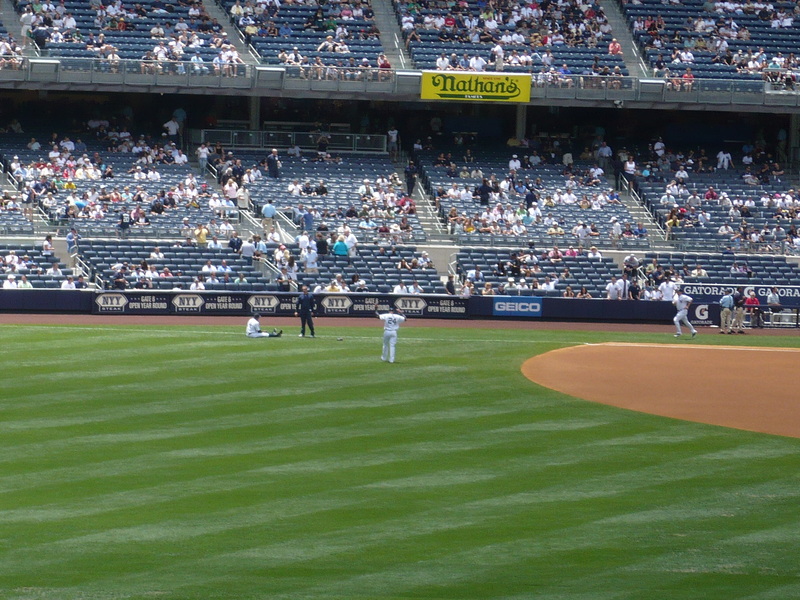 Don’t gasp yet – I know what you are thinking: “What could be more important than blogging about a Yankee win?” The answer? Staying up late was worth it for this series. Anytime the Yankees win, no matter what time I go to bed, I’m not cranky. Thank you Yankees for my good mood! CC Sabathia and A-Rod were responsible for our 6-1 win in game 2. Last night’s finale had a similar recipe. The Yanks won it 6-2. Pitching Analysis: It was A.J. Burnett’s turn last night, and I was hoping that his previous start was not a fluke. It was his first good one in over a month. Last night, A.J. comforted me, saying, “Don’t worry, Virginia. I’ll be good for you.” And he did. He’s heating up again. The bullpen did well last night. Marte pitched a scoreless 8th, and Joba threw a scoreless 9th. If only he can be automatic like Mo every day…. Defensive Anaysis: There was good defense, bad defense, and something that I don’t think is worthy of being called defense last night. We’ll call it ugly. 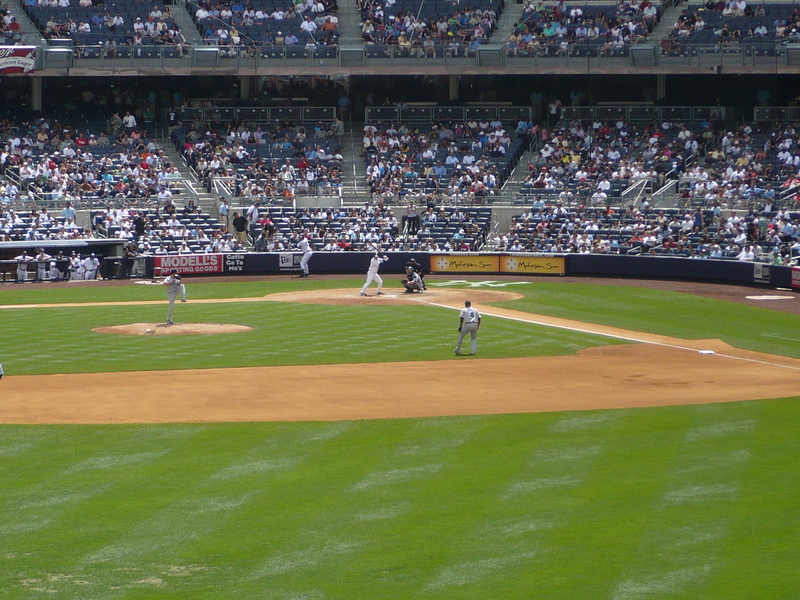 Yankee Defense: The Good, The Bad, and The Ugly. GOD I HATE THAT MOVIE. Which one is “The Ugly?” The are all grotesque. Anyway: The good defense came in the first inning, on the first play of the game. 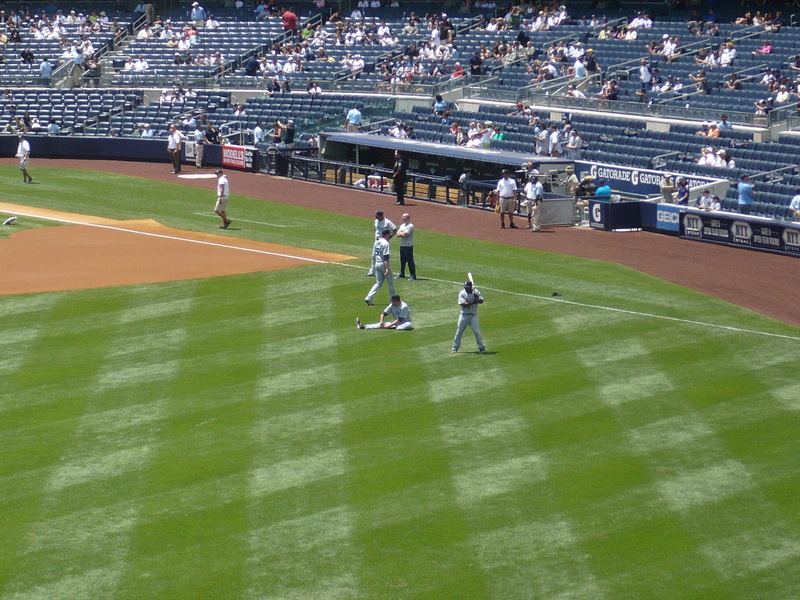 Coco Crisp hit a liner to centerfield, and Brett Gardner snared it, doing a dive/slide, for the first out. Good Job, Brett! The bad was A.J. Burnett. He attempted a pickoff, and threw the ball wildly. He is just the WORST at holding on runners. He had the right idea, but failed to execute the play. Of course, Jeter and the rest of the guys really let him have it. But A-Rod was a good sport about it. After all, it was hilarious. Offensive Analysis: The Yankees had a lot of chances early to get to Gio Gonzalez, but they failed to take advanage ot them. Finally, in the 4th, they broke through. My little cutie Ramiro Pena, AKA Jamal, hit an RBI single to tie the game at 1. Dev Patel and Ramiro Pena! TWINS! Then Derek Jeter hit an RBi single to give the Yankees a 2-1 lead! 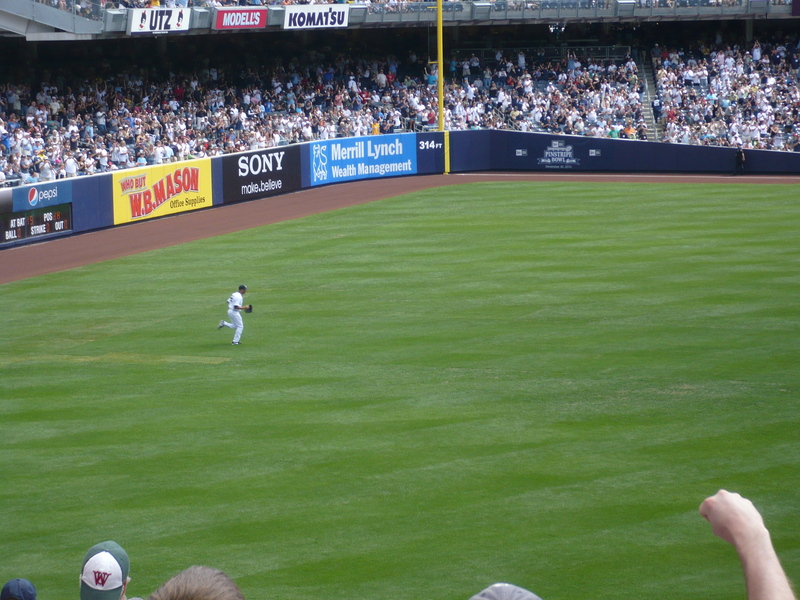 Later that same inning, Mark Teixeira delivered – big fly style. He hit a 3-run homer to break the game open! 5-1 Yankees! He is really starting to heat up. The heroes for this comforting victory are A.J, Burnett, Mark Teixeira, and Nick Swisher, for giving it their all and getting some serious results. In a perfect world, all three of you would be All-Stars. For now, let us pray for Swisher. The Yankees have won 5 games in a row. They have a 2 game lead in the AL East, and they have the best record in baseball at 53-31. Sure, my Yankees are good, but doesn’t it seem like they haven’t really clicked yet?